European Banking Authority to Relocate from London to Paris as the UK Prepares to Withdraw from Europe. Following the delivery of the Article 50 letter in which the UK government applied to take the UK out of the EU, both of the EU Agencies at present located in London, have to be re-located. The first agency was the European Medicines Agency and moves are already well underway to re-establish its operations in Amsterdam. At the moment a second agency, the European Banking Authority (EBA), the key institute of three EU-wide banking and financial services regulators, is located in London. Its main task is to contribute to the setting up of a European Single Rulebook in banking by adopting Binding Technical Standards (BTS) and Guidelines, The objective is to provide a single set of harmonised prudential rules for financial institutions throughout the EU. This will mean that depositors, investors and consumers will enjoy the same high level of protection. It is also promoting convergence of supervisory practice within the member states in order to harmonise the application of prudential rules across the EU. 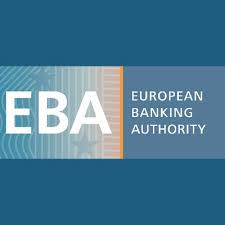 The EBA is also mandated to assess risks and vulnerabilities in EU banking through regular risk assessment reports and by applying the so-called pan-European stress tests. It is not appropriate for the EU's main banking regulation authority to be located in a third-country and now that the UK is to leave the EU, the EBA is having to be re-located. Paris, which is Europe's largest financial centre after London, has been selected as the location for the EBA, which will be housed in either the traditional business centre in the south east of the city or else in the new finance centre of La Défense.